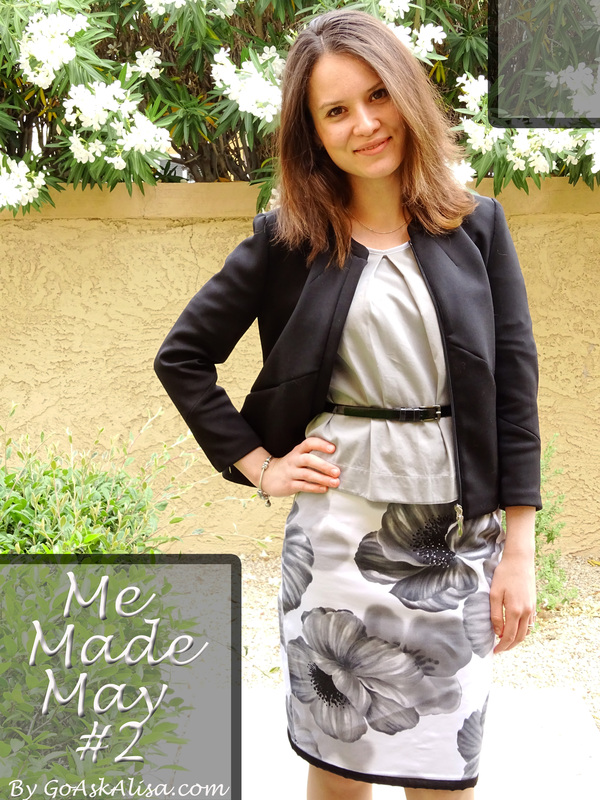 Me Made May #2 – Go ask Alisa – DIY capsule wardrobe one stitch at a time! Who said that professional wardrobe should be boring? 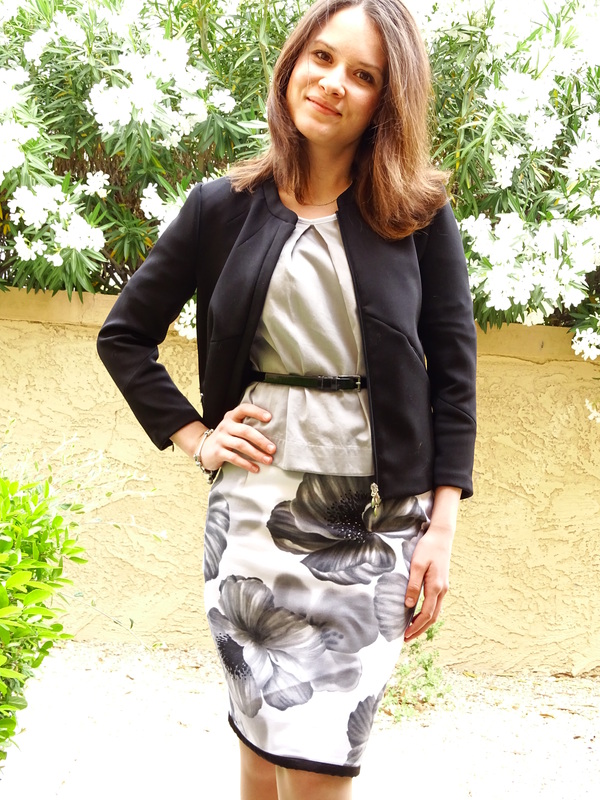 Even with color palette consisting out of black, grey and white you can create beautiful and modern work outfit. Continuing Me Made May marathon this outfit is dedicated to those days at work. Since summer is almost here I decided to use this beautiful stretch cotton with massive black and white flower print for classic pencil skirt pattern, from Burda 05/2014 issue. It goes great with white, grey and black blouses, you might as well experiment with some neon colors for more of an evening look. Pattern: Burda 05/2014 issue. Since the fabric I used had some good stretch I omitted the back slit and traced out only two pattern details: front and back. For the contrast, I made the bottom edge in black satin, which gives it a nice frame. Tips: for business and business casual wardrobe I find myself using straight lines and very classic patterns, opposed to something over-complicated and dramatic. I always try to put an interesting detail in one of the garments, to no to overpower the whole look and get out of tact of business wardrobe. 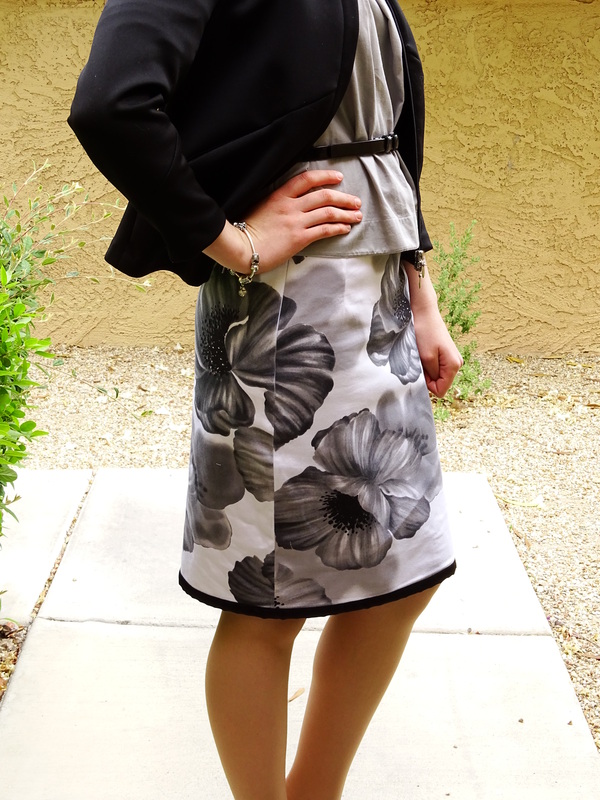 Classic pencil skirt pattern works for me every time. This skirt is a fresh make, it has not been in my closet longer than 2 weeks and I already wore it like 3-4 times. It is comfy, with gorgeous flowers, goes with heels and flats, goes for work and for more casual atmosphere. Love it! What do you think? Let me know and share your thoughts in comments 🙂 Cheers! Love the entire outfit! The skirt is very pretty. Oh, thank you so much! 🙂 Such positive feedback means a lot to me! It’s lovely. The fabric is beautiful! Previous Previous post: Me Made May #1 Rock in Rio outfit!